With its versatility and inherent beauty, stone should be a landscape gardener’s first choice of structural material for a garden. But why would you need a stonemason? Because the organic shape of natural stones hidden in a rockery can be enhanced with a surprising carved quotation. A contemporary piece of sculpture can bring focus to a bank of greenery. The possibilities are endless and I have the skills and experience to bring them to life. 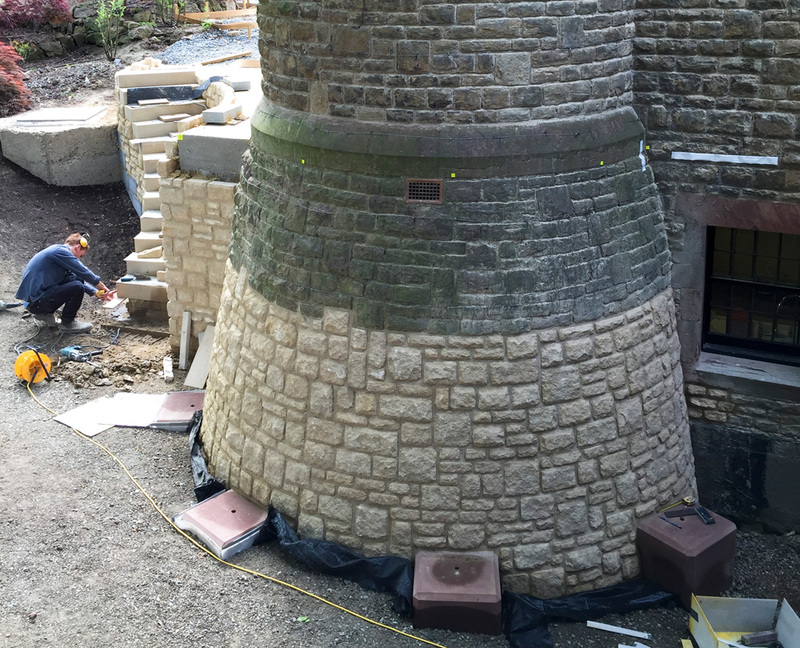 I can carve traditional and contemporary pieces of sculpture, carve lettering into paving, walls or onto a stone feature, create or repair walling or turn any of your ideas into stone. I’m always happy to share my experiences and give advice on how you can realise you or your clients’ ideas. I can obviously give estimates for pitches or commissioned projects alike. Please call me (Geraint) on 07803 908 066, email me or use the contact form below to get in touch. 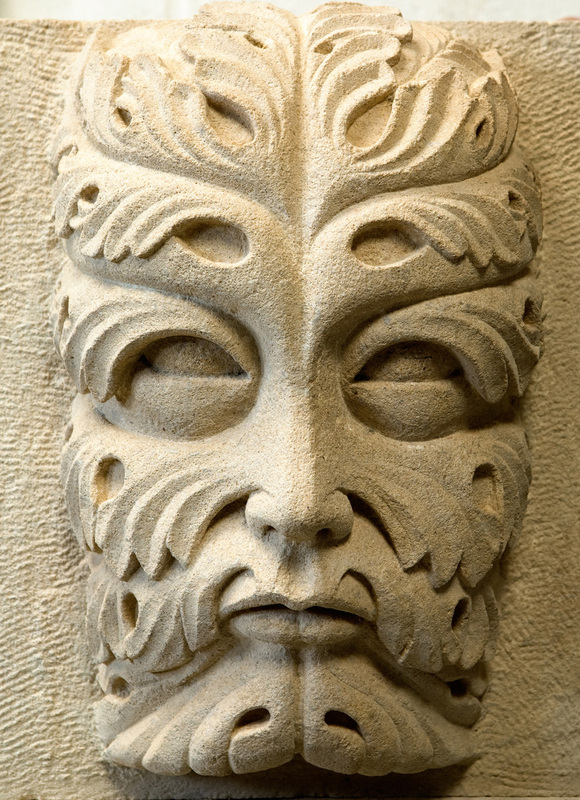 This green man carving was inspired by medieval Bavarian carvings and was a private commission. 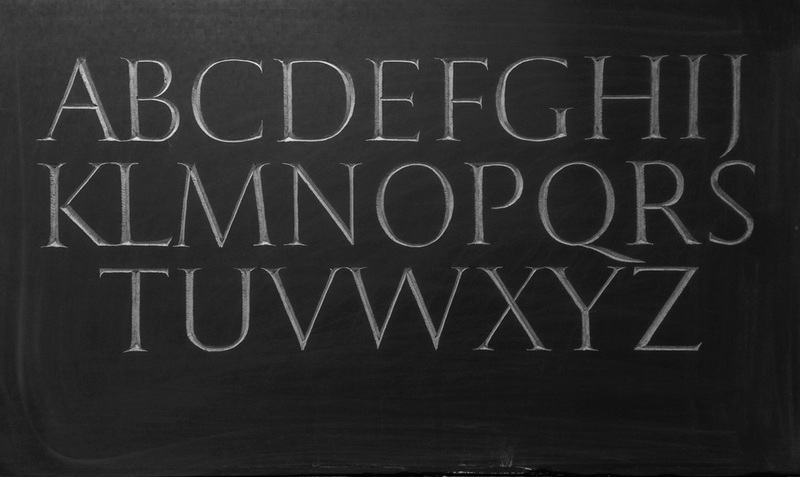 Letter carving of Roman type in Italian slate as a test-piece. 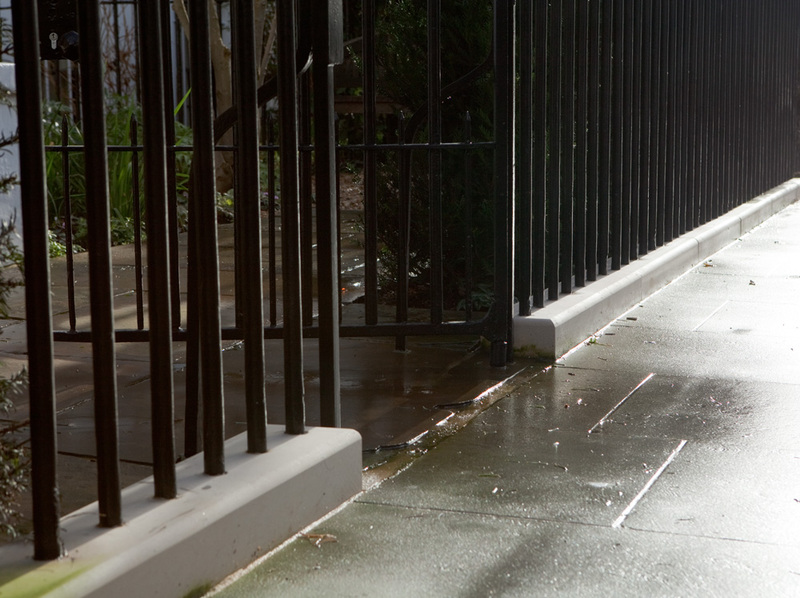 Portland plinth stones for a front garden in Kensington. Tooled in our workshop and installed by us. 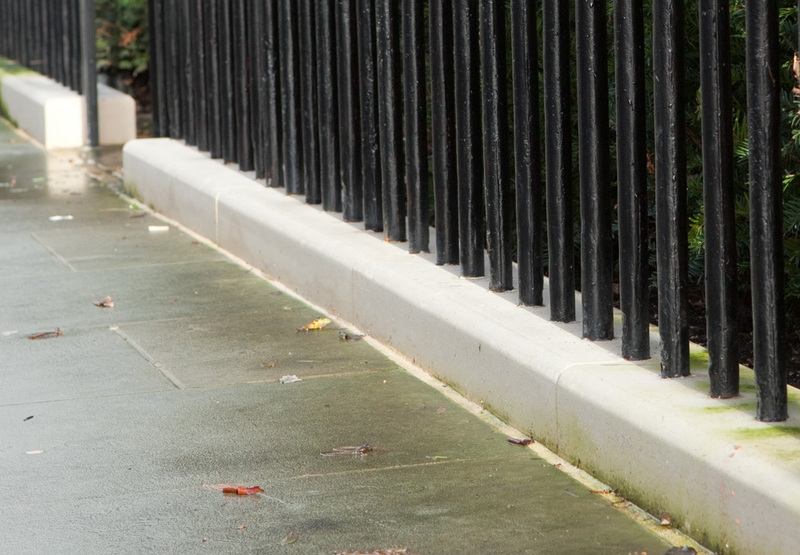 The same plinth from a different angle. 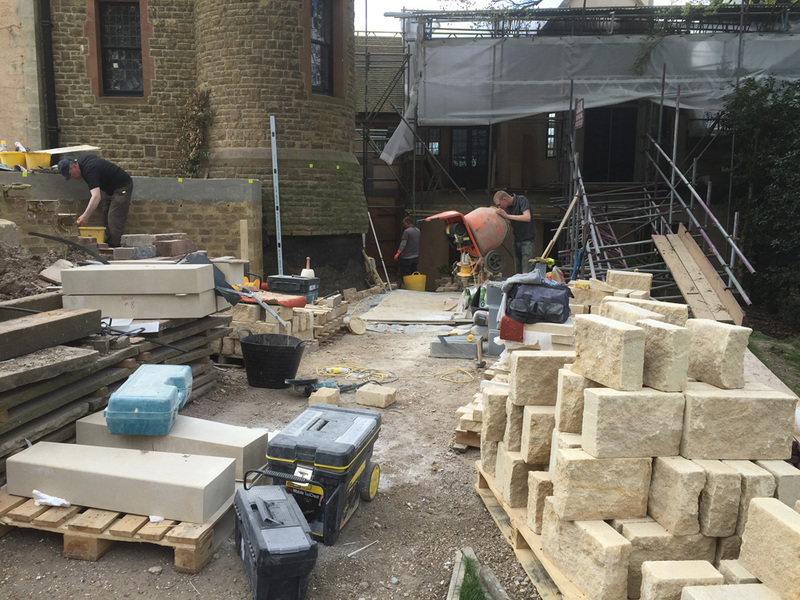 Project in Wimbledon which involved coursed-rubble walling in Doulting stone and an S-shaped external set of steps in Yorkstone. We had to pack the back of the wall out to continue the line of the building. This is at an almost-finished stage. The architect requested an additional two steps to be added to the bottom of the staircase. 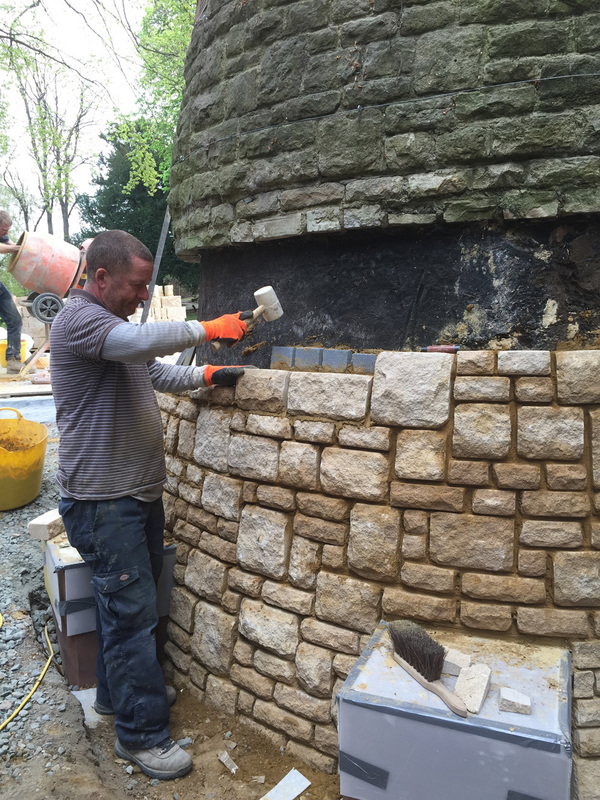 The rubble wall was pointed using lime mortar (hydraulic 3.5 lime, and sharp sand). 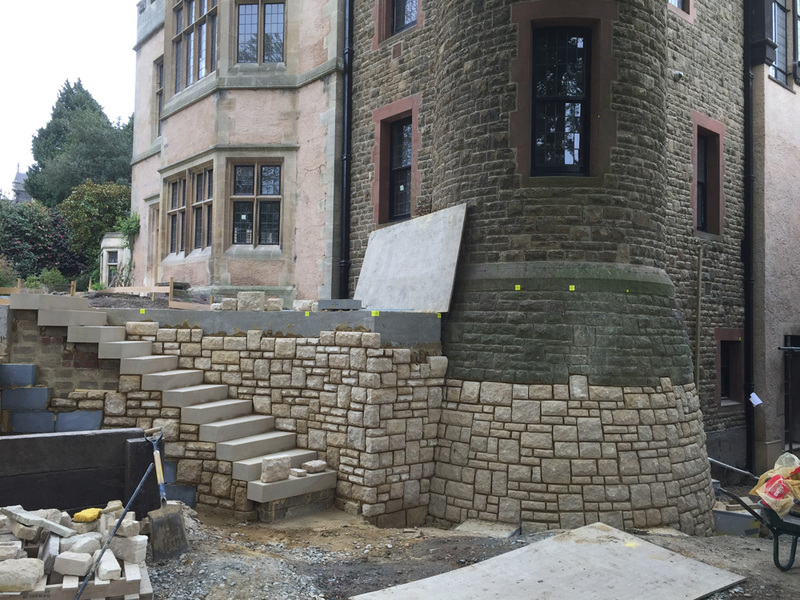 The purple pad stones at the bottom are St Bees sandstone, and will eventually be the bases for the legs of a steel walkway.